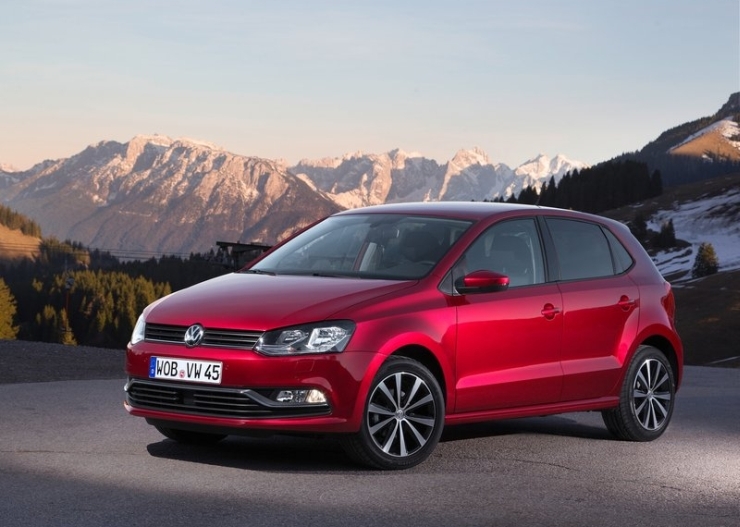 The facelifted Volkswagen Polo hatchback will be launched in India on the 15th of July, 2014. First showcased at the Geneva Motor Show, the Polo Facelift comes with mild design changes. In Europe, Volkswagen has introduced a new, 1.4 liter-3 cylinder TDI turbo diesel motor. Euro-spec 2014 Volkswagen Polo Facelift used as an illustration. The India-spec variant will lose LED headlamps and DRLs. For India though, a newly developed 1.5 liter-4 cylinder TDI turbo diesel engine will find its way into the Polo Diesel’s engine bay. On the regular variants, the 1.5 liter TDI motor is likely to output 89 Bhp-220 Nm while the high performance, GT TDI variant of the car will get the same engine in a higher, 103 Bhp-250 Nm state of tune. The 1.5 liter TDI motor is a downsized version of the 1.6 liter TDI diesel engine. Reportedly, the downsized engine has been developed specifically for the Indian car market, where legislation offers lower excise duty to sub-4 meter diesel cars with an engine capacity below 1.5 liters. Consequently, the Polo GT TDI – which was previously powered by the 1.6 liter TDI motor – is expected to become about 50,000 rupees cheaper, thanks to the downsized 1.5 liter TDI diesel engine and the resultant excise duty benefits. The smaller engine and the duty cut also opens up the possibility of Volkswagen India offering a dual clutch automatic gearbox on the Polo GT TDI as such a variant would come in at roughly the same price as the outgoing, manual gearbox equipped GT TDI model. The 1.2 liter-3 cylinder naturally aspirated MPI and 1.2 liter-4 cylinder turbocharged TSI petrol engines will continue unchanged. The MPI motor will get a five speed manual gearbox while the TSI motor will be mated to a 7 speed automatic transmission. Coming to the other aspects of the facelift, the 2014 Polo hatchback will seen minor stylistic revisions in the form of new headlamps, revised tail lamps, and new front and rear bumpers. On the inside, a three spoke steering wheel and satin inserts for the center console are the most prominent changes.